EAW016870 ENGLAND (1948). Marshall Richards Machine Company Works and environs, Crook, 1948. This image was marked by Aerofilms Ltd for photo editing. 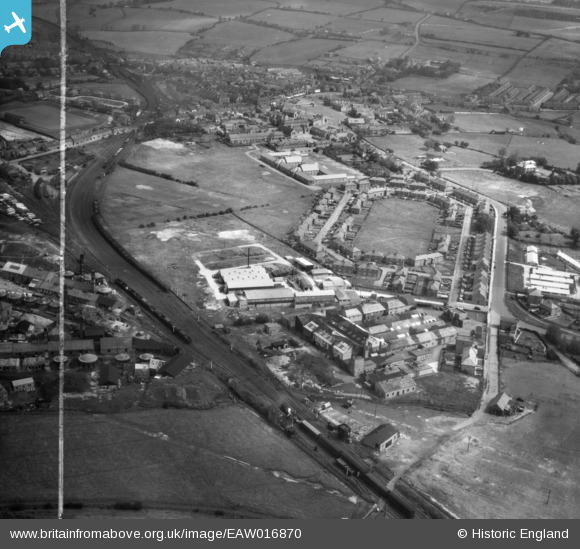 Pennawd [EAW016870] Marshall Richards Machine Company Works and environs, Crook, 1948. This image was marked by Aerofilms Ltd for photo editing. Millfield. Home of Crook Town AFC. F.A.Amateur Cup winners, 1901, 1954, 1959, 1962,1964. Alderman Cape Sec. Modern school.